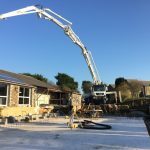 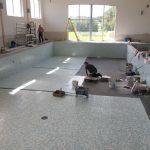 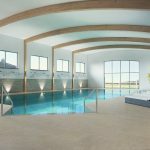 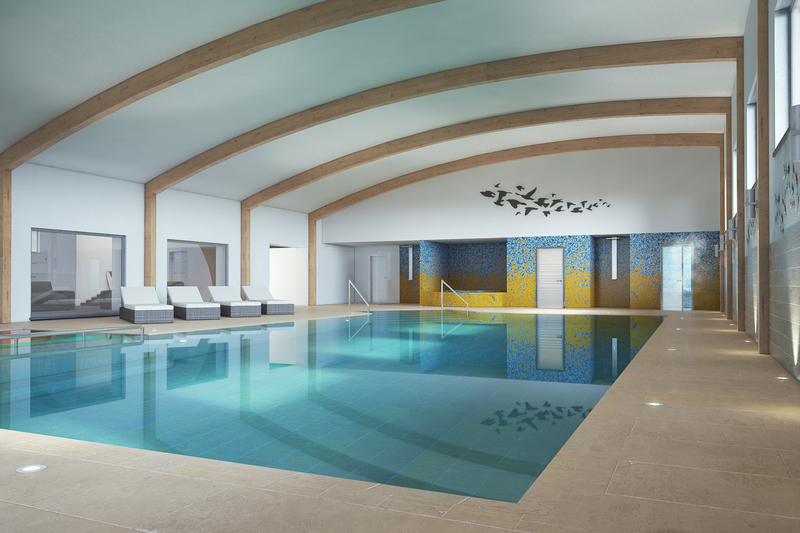 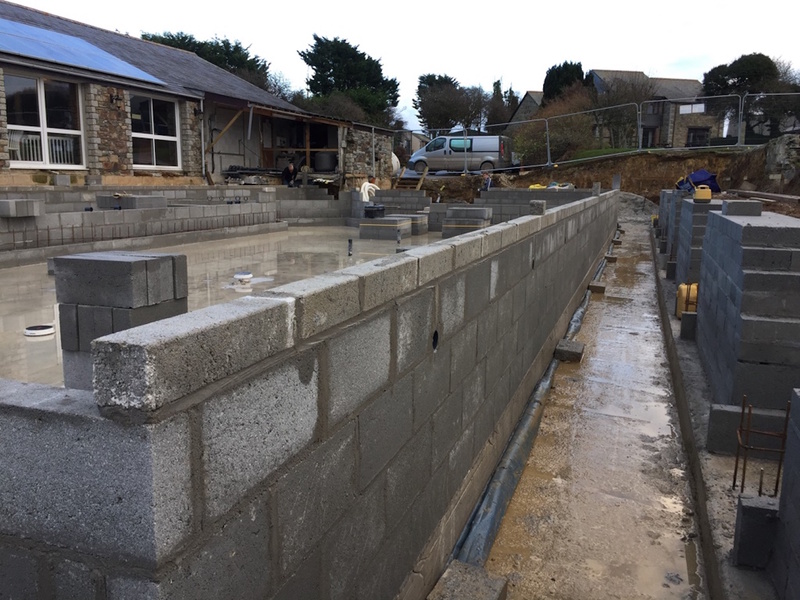 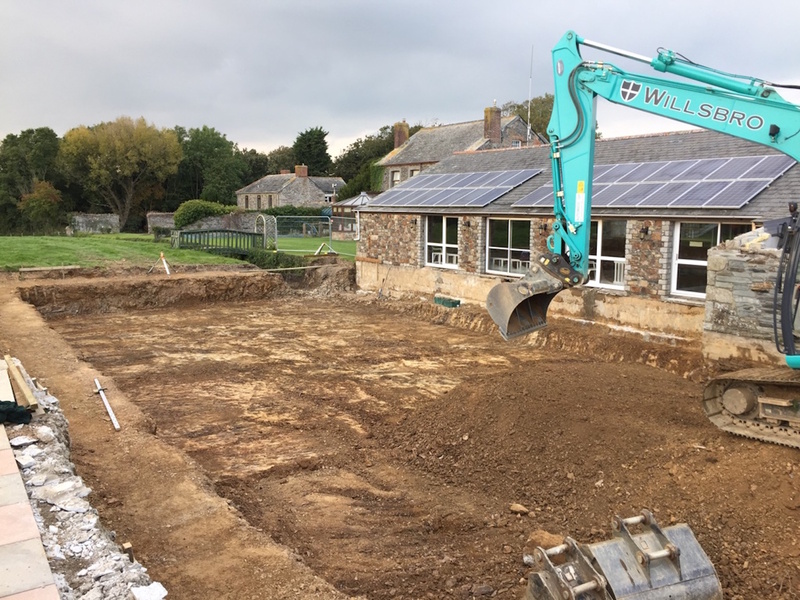 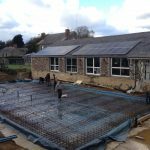 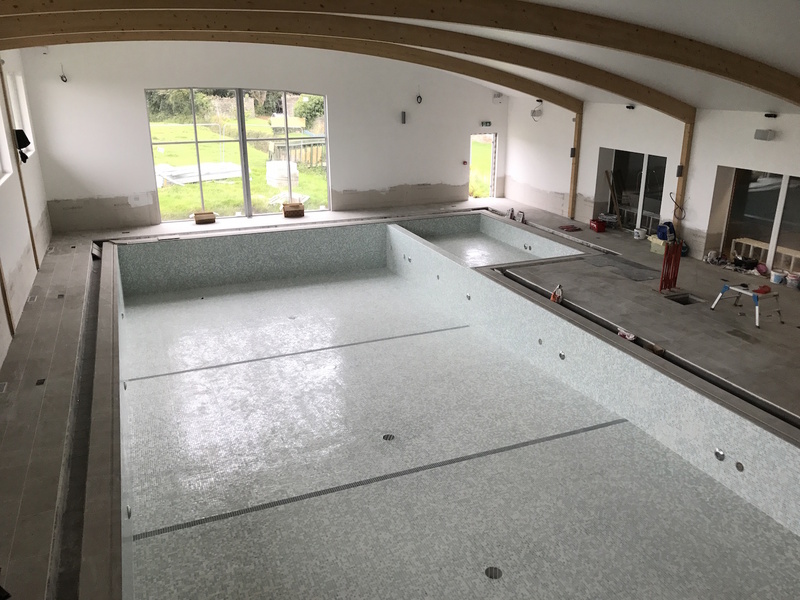 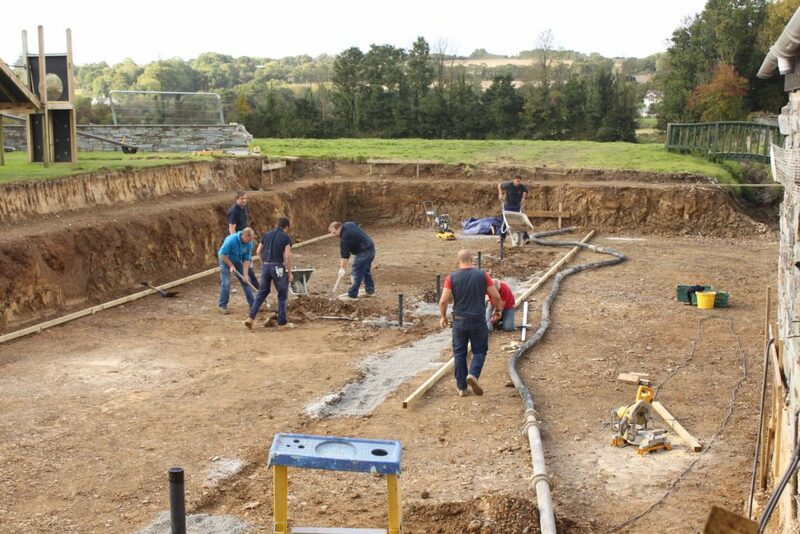 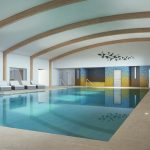 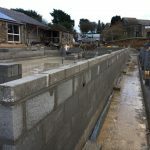 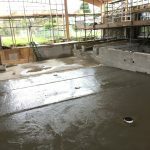 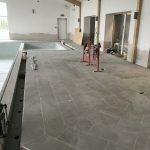 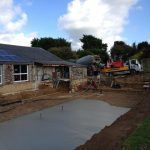 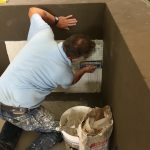 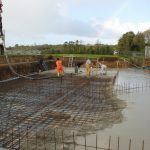 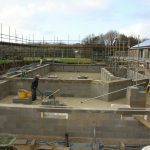 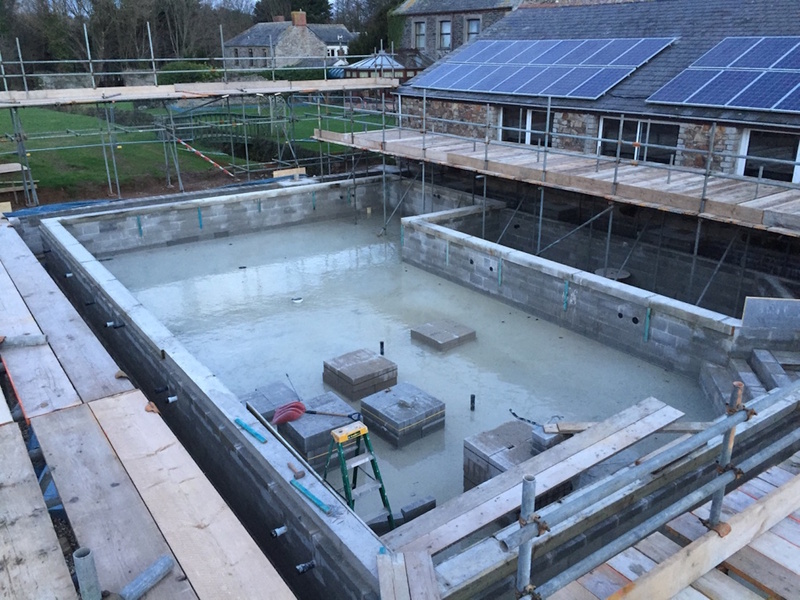 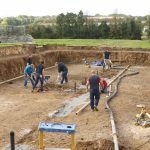 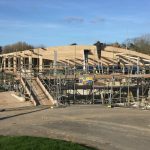 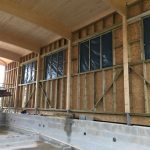 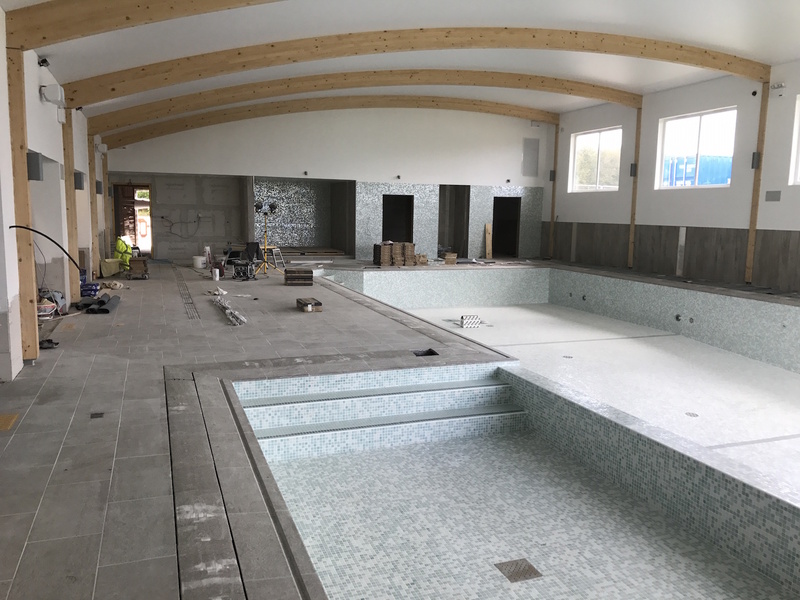 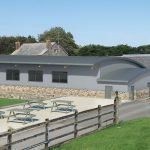 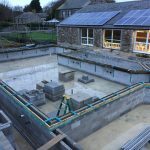 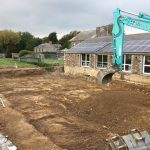 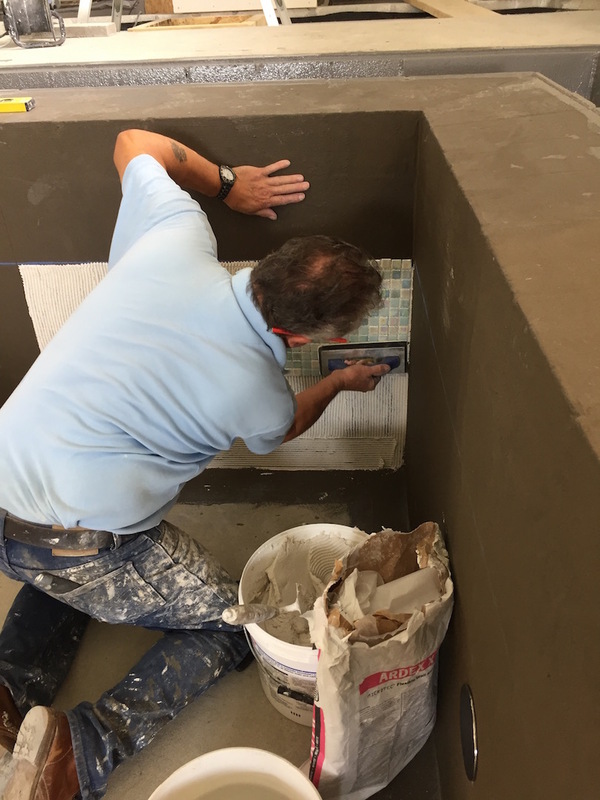 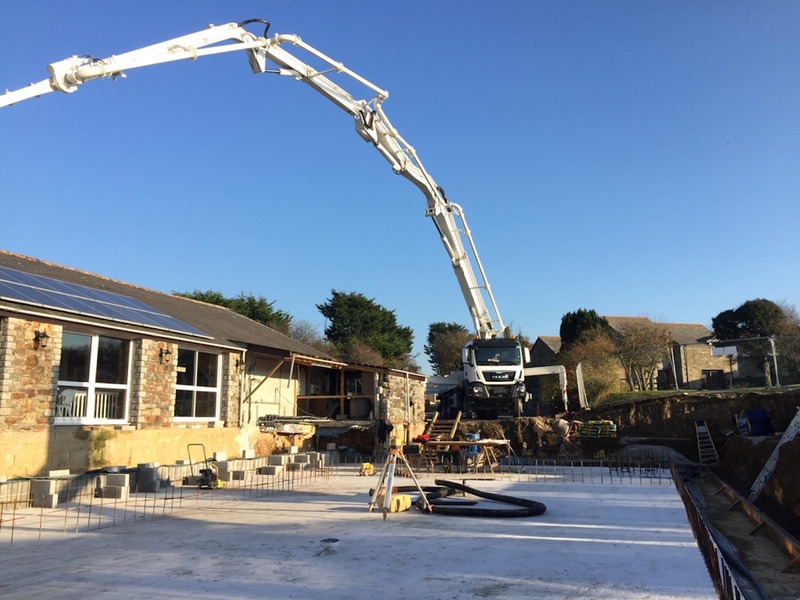 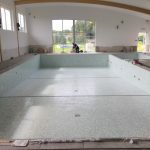 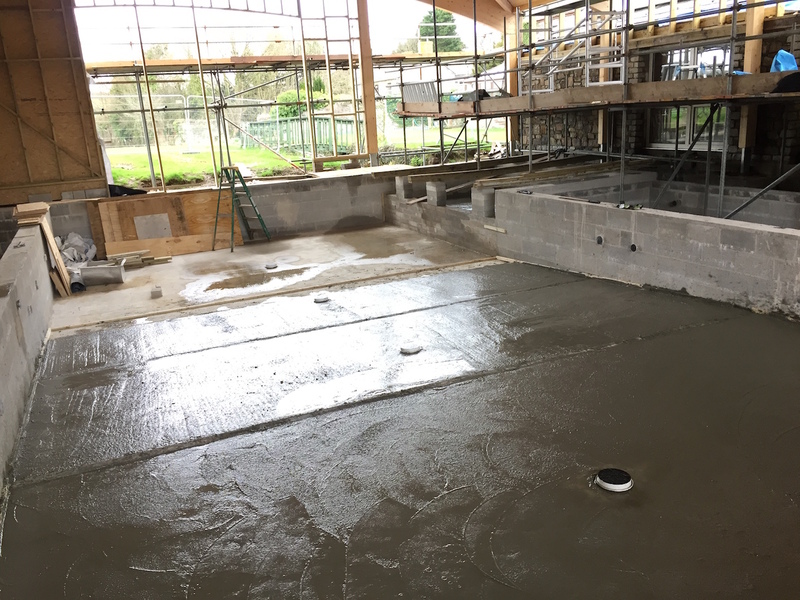 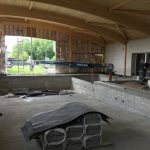 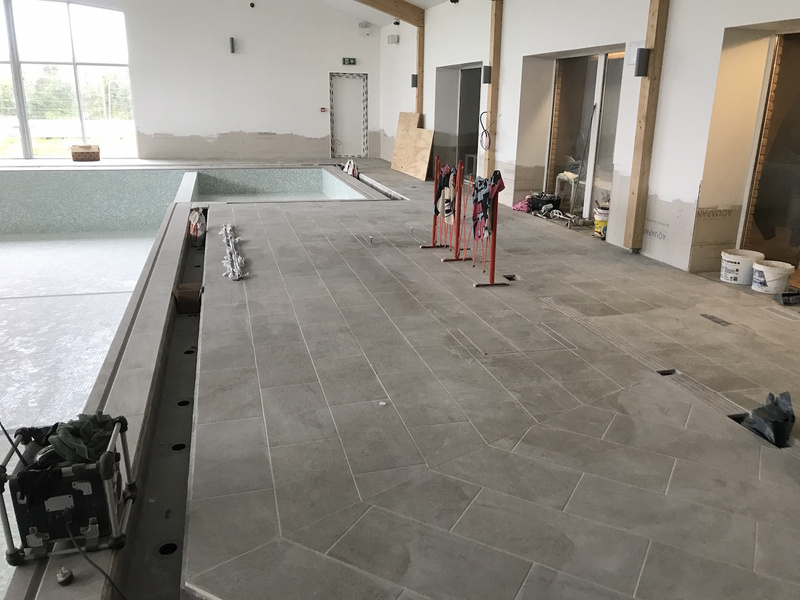 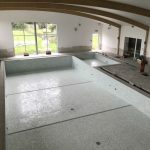 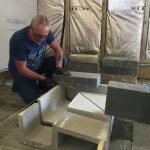 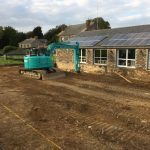 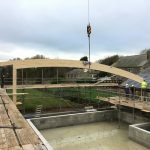 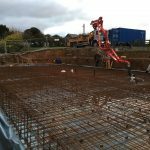 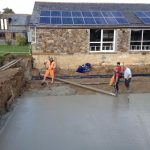 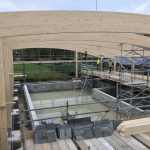 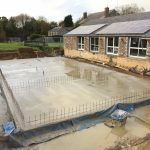 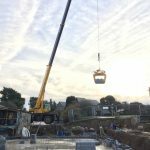 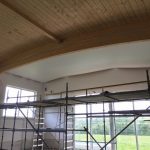 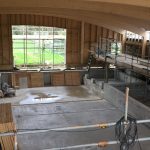 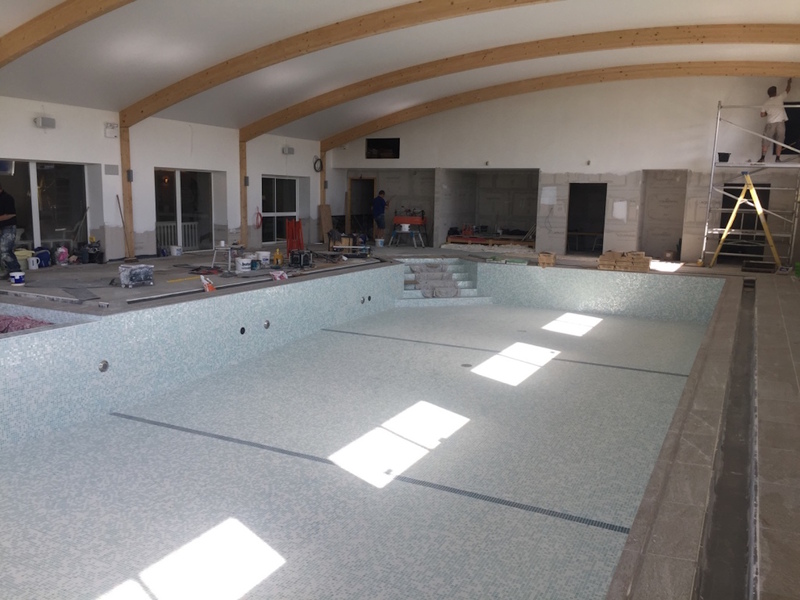 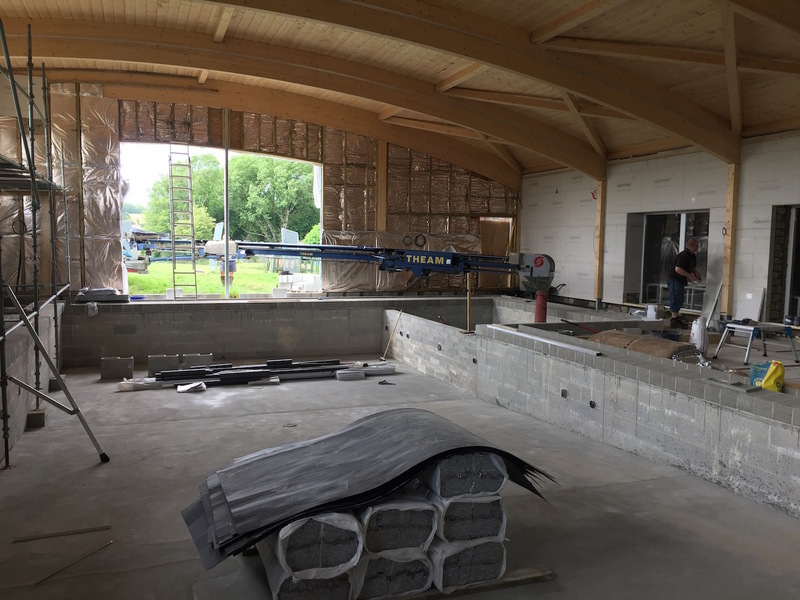 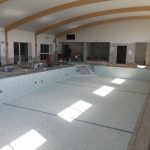 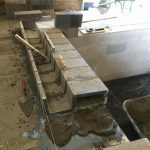 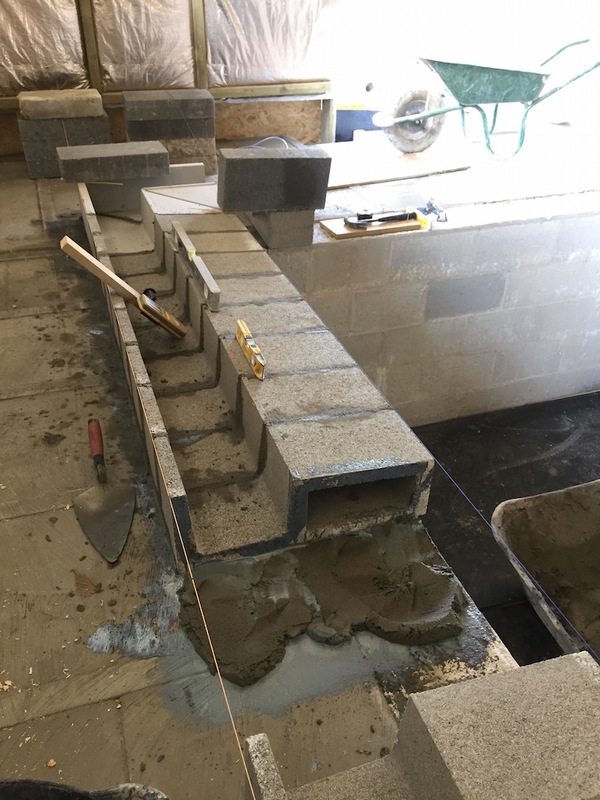 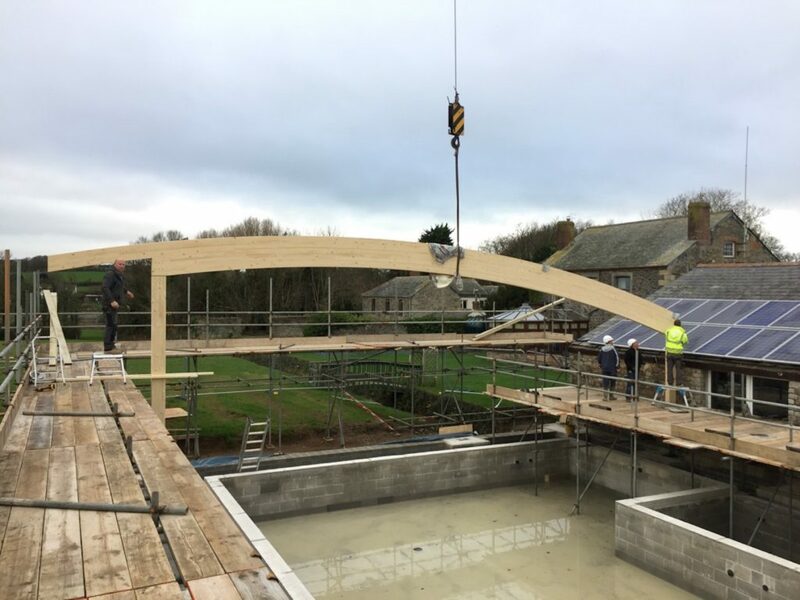 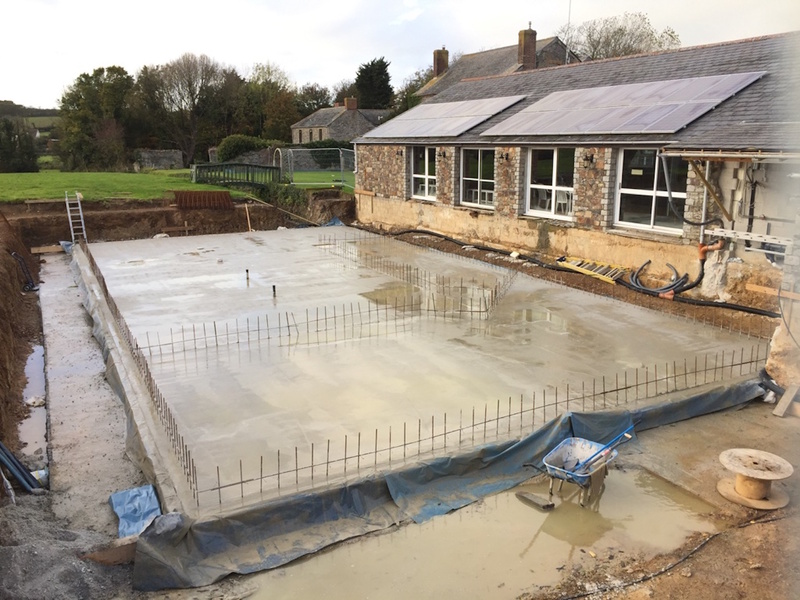 The Olde House > Latest News > The New Pool Build Continues! 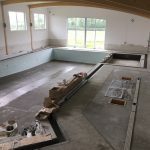 The New Pool Build Continues! 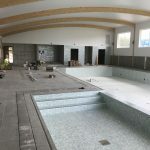 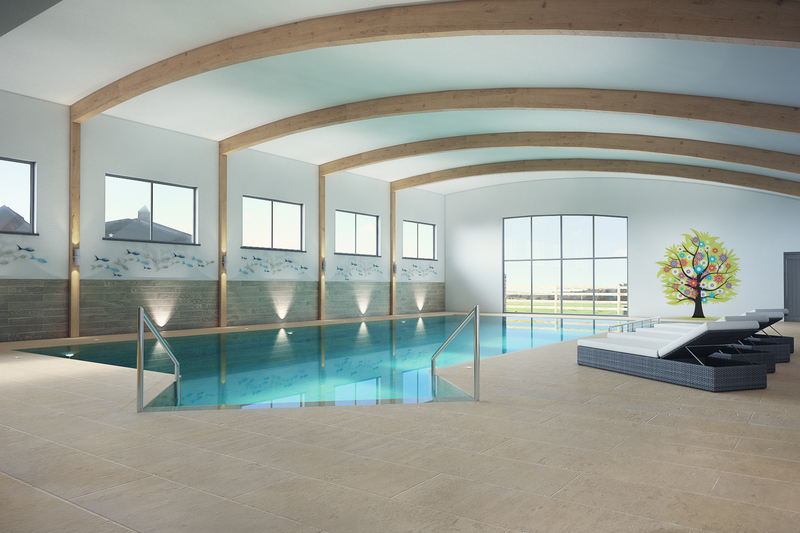 The summer has been spent tiling the pool and installing the sauna, steam room and jacuzzi. 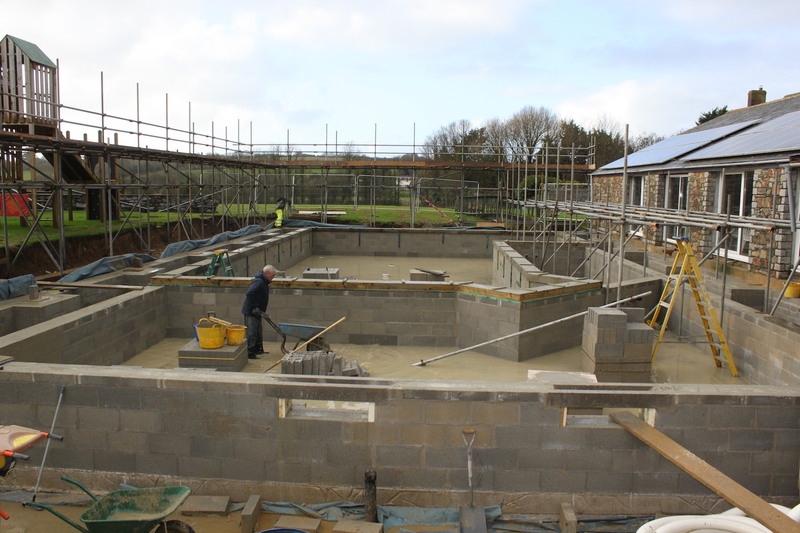 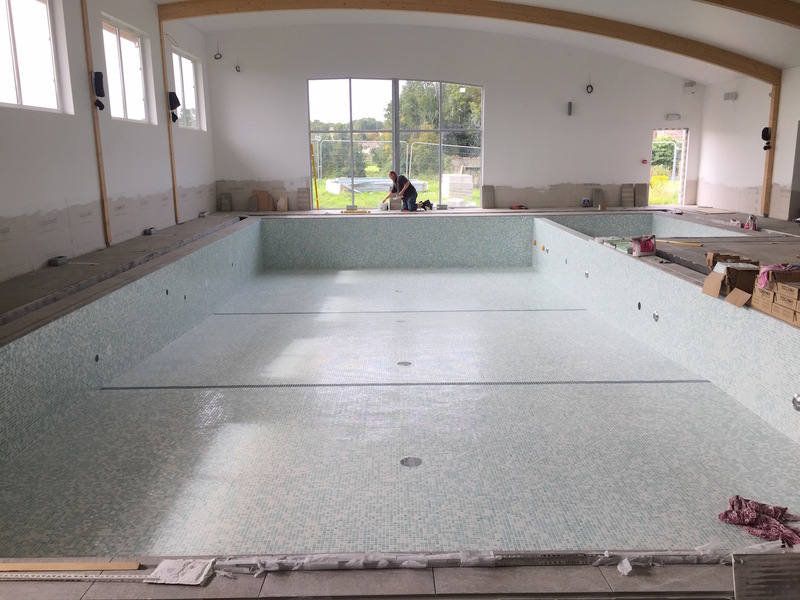 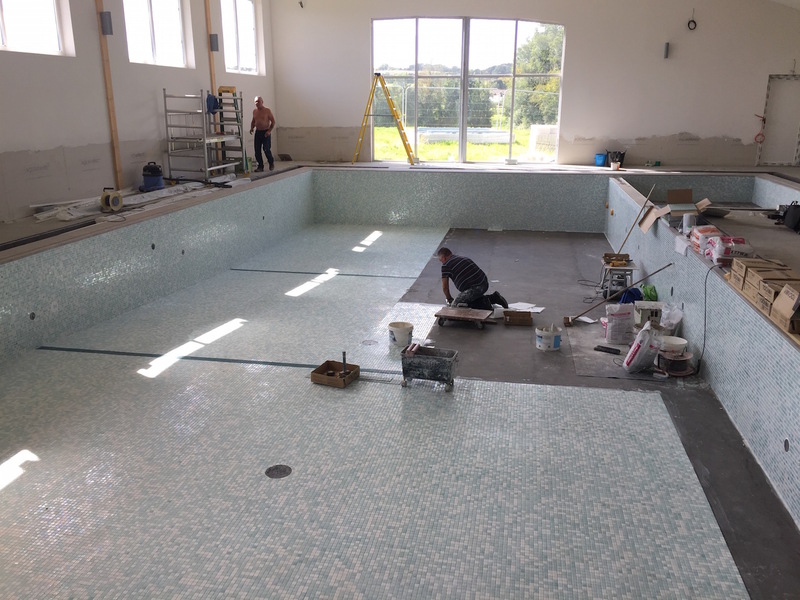 We’re almost ready to start filling, which has to happen very slowly to avoid “shocking” the pool. 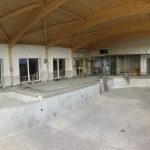 We are now closing the building in. 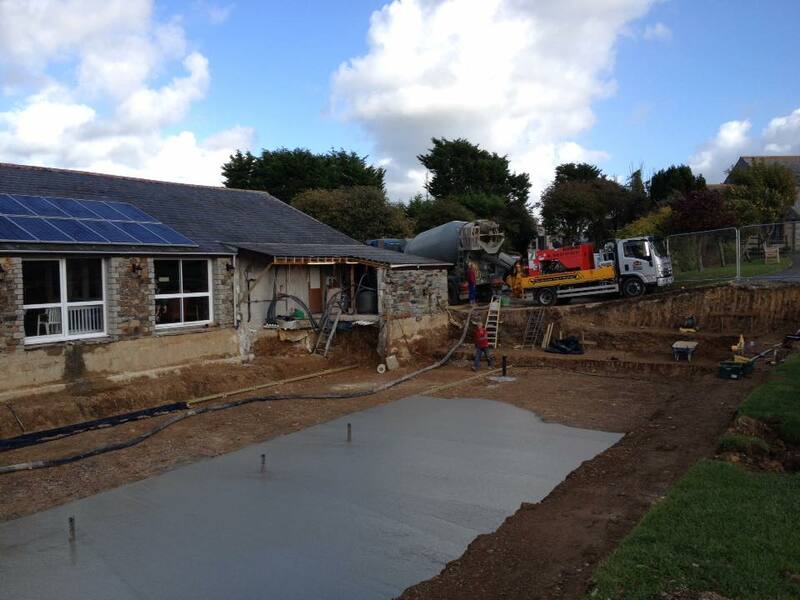 We have clad most of the walls and now starting to insulate the building. 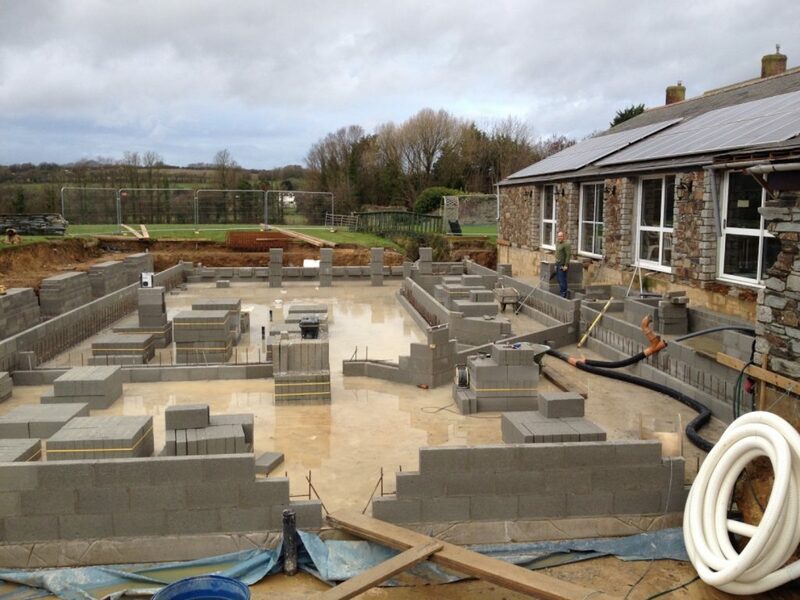 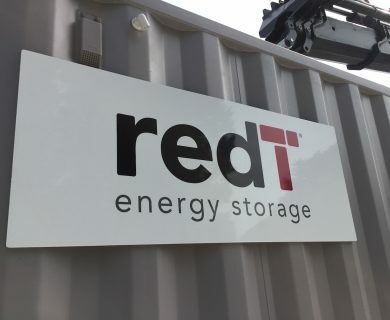 Check out our latest time lapse video. 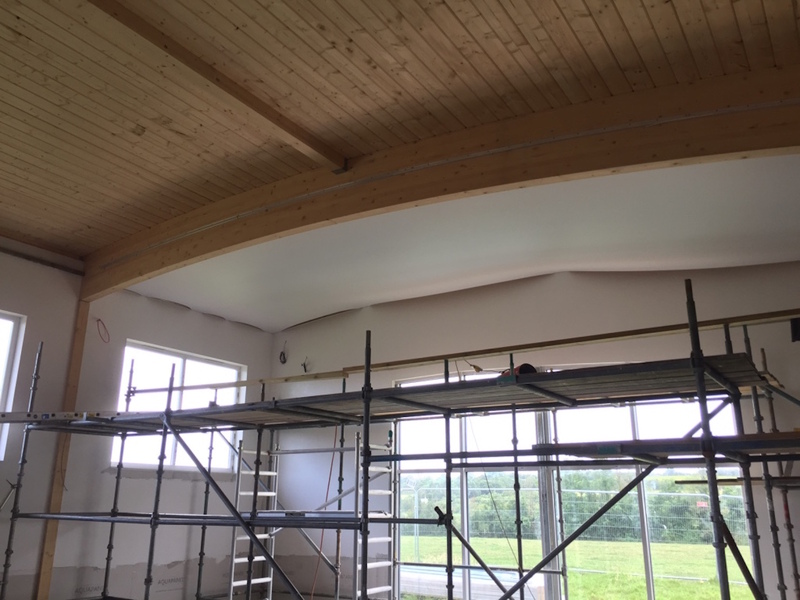 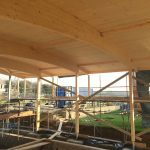 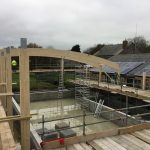 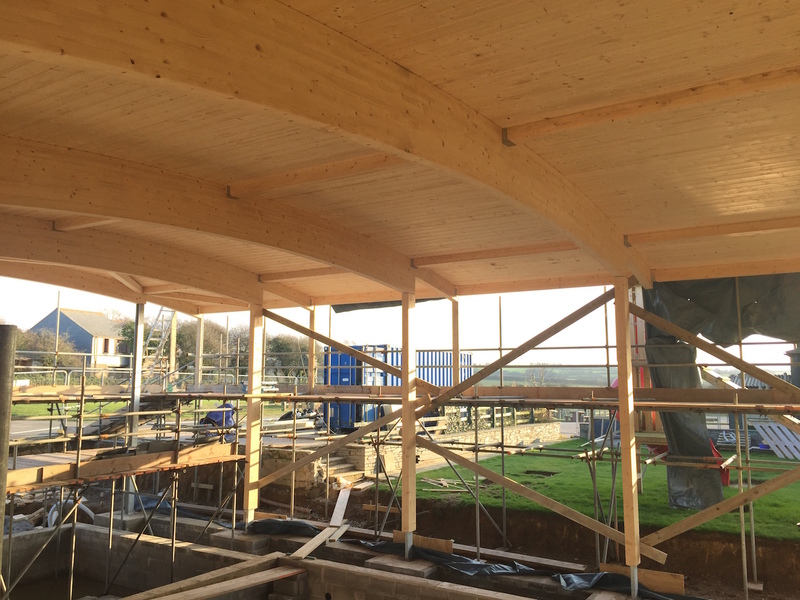 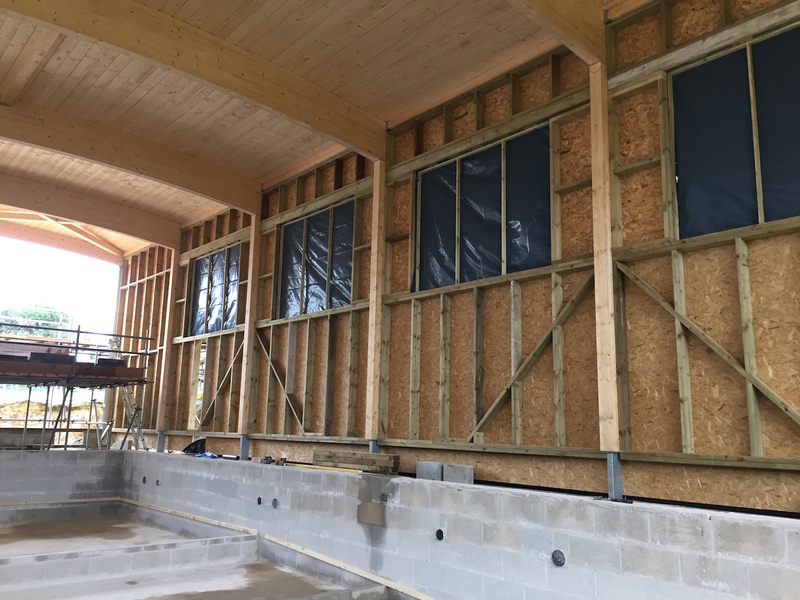 Work now begins on the timber frame walls, soon we’ll be weather proof and we can move the time lapse camera inside to capture the coming progress. 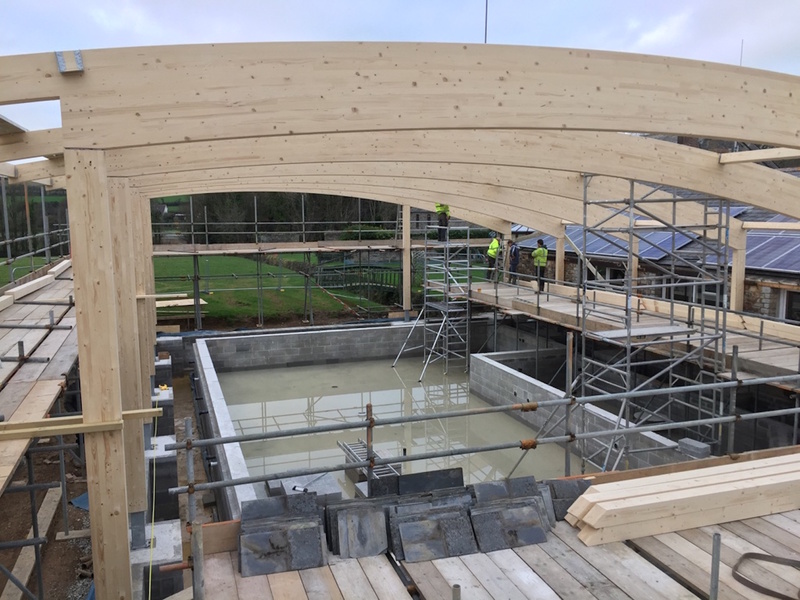 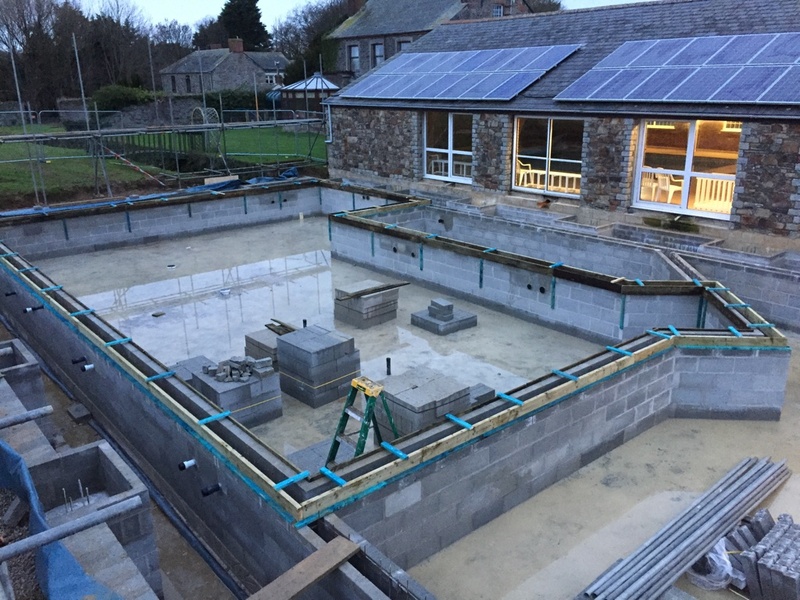 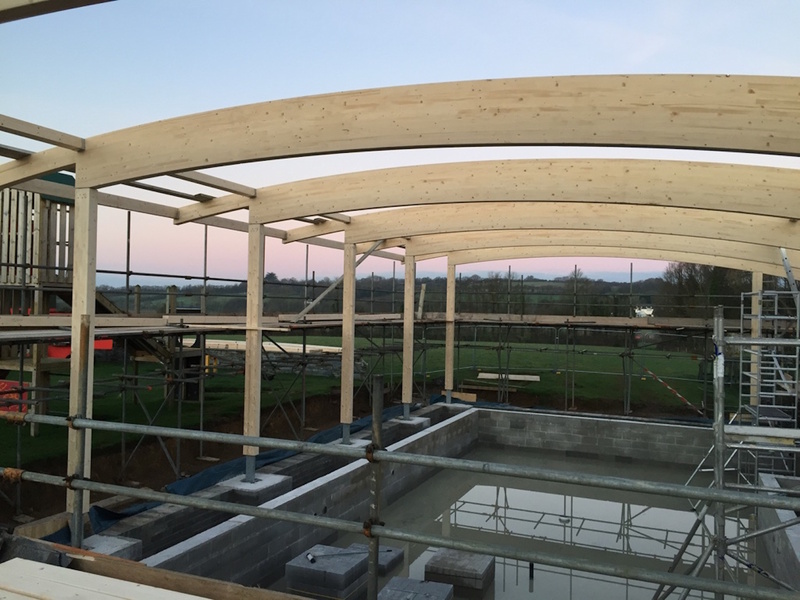 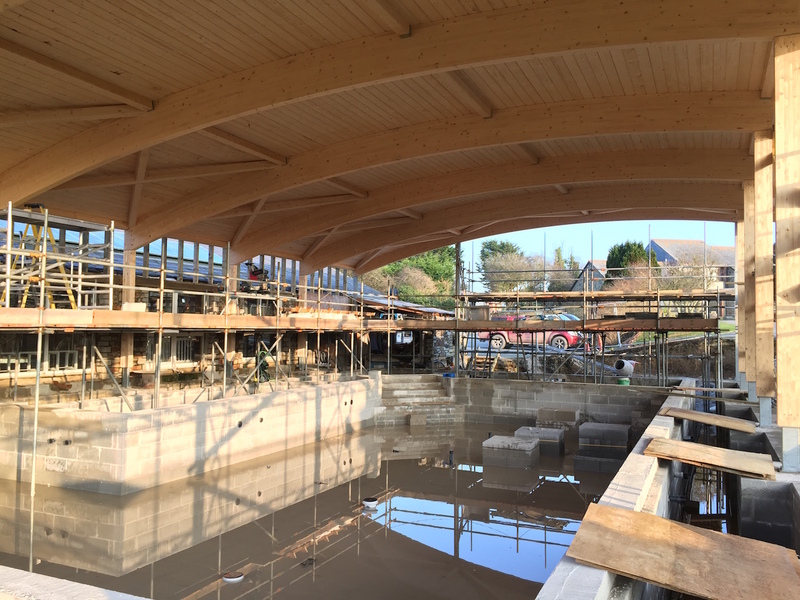 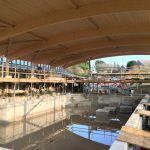 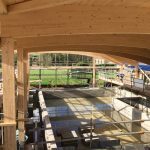 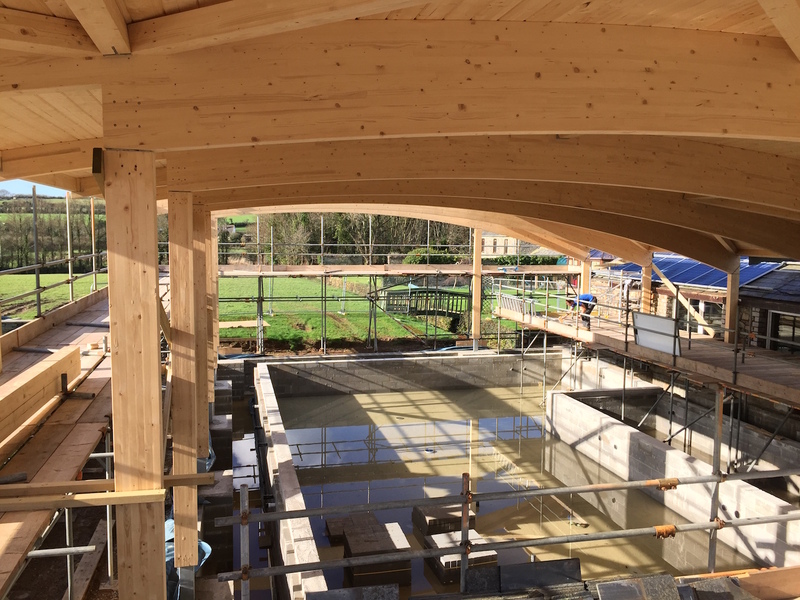 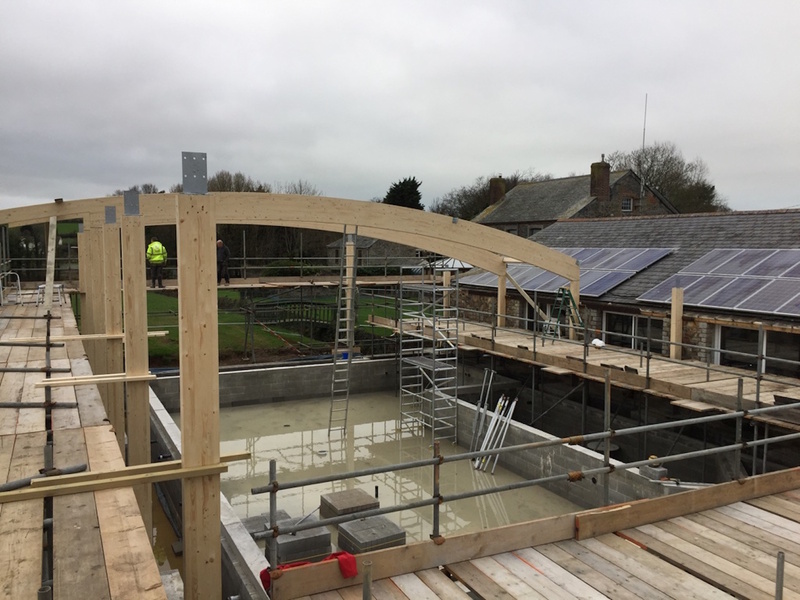 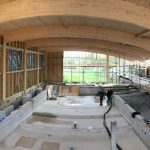 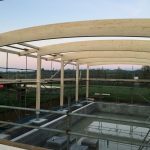 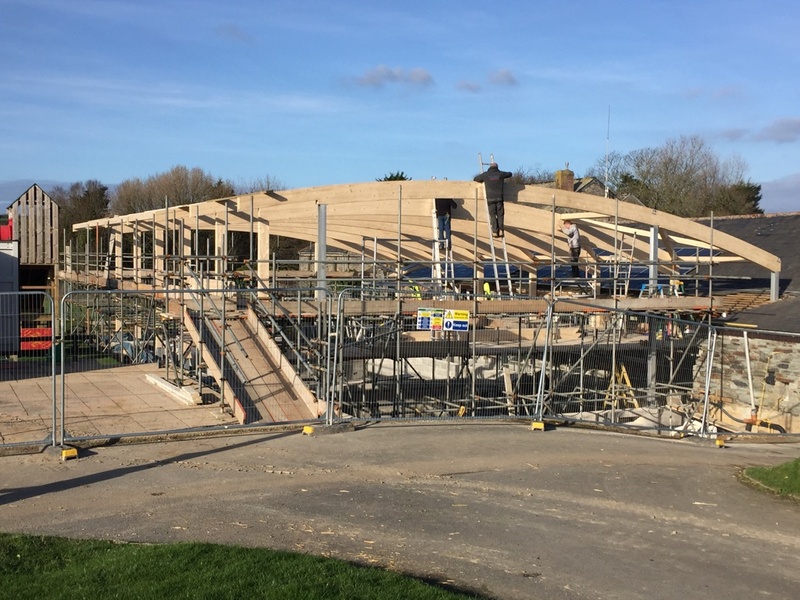 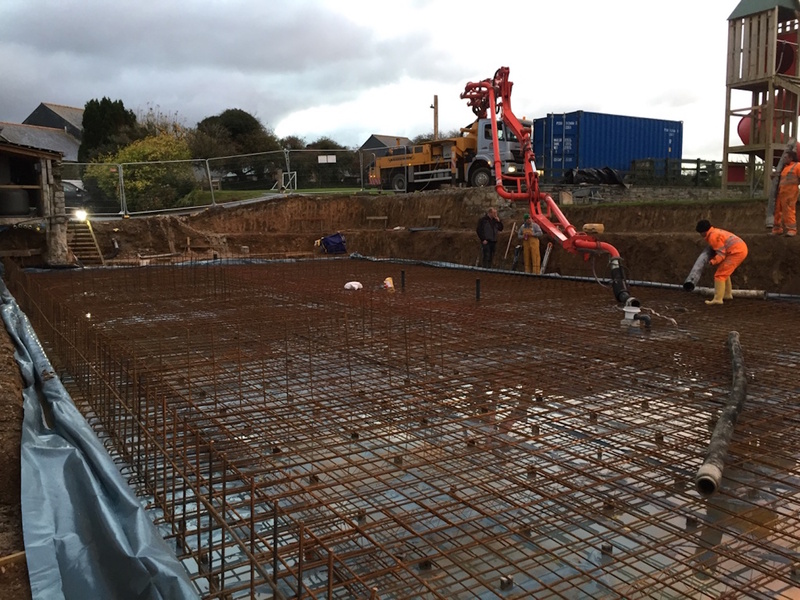 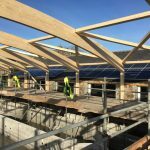 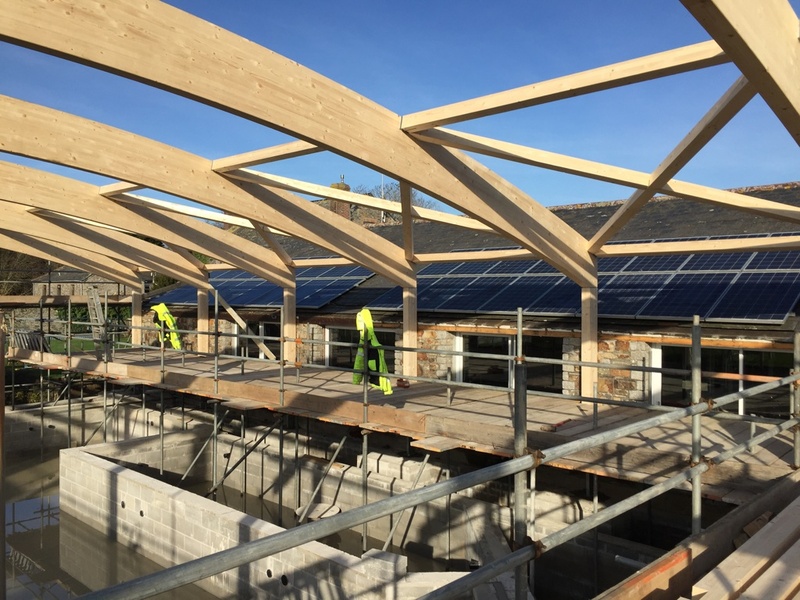 The pool is progressing well, we’ve all had a well earned break over Christmas and now we are back to it with the main structural frame going up this week. 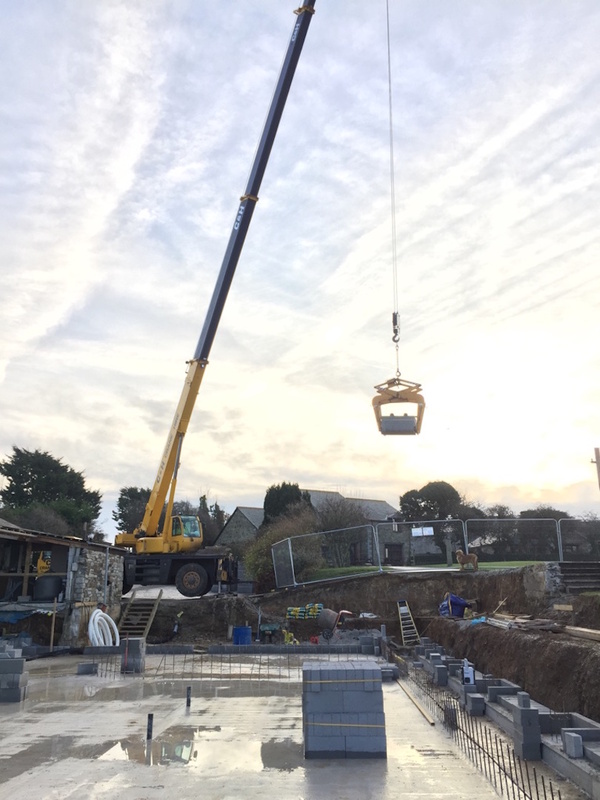 The crane is here helping us to put the massive beams in place. 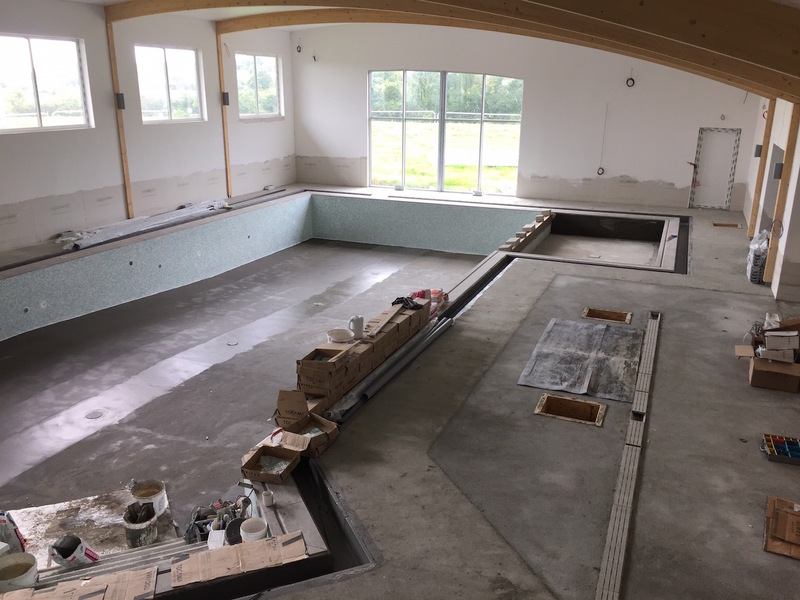 Here is a time lapse of the build so far. 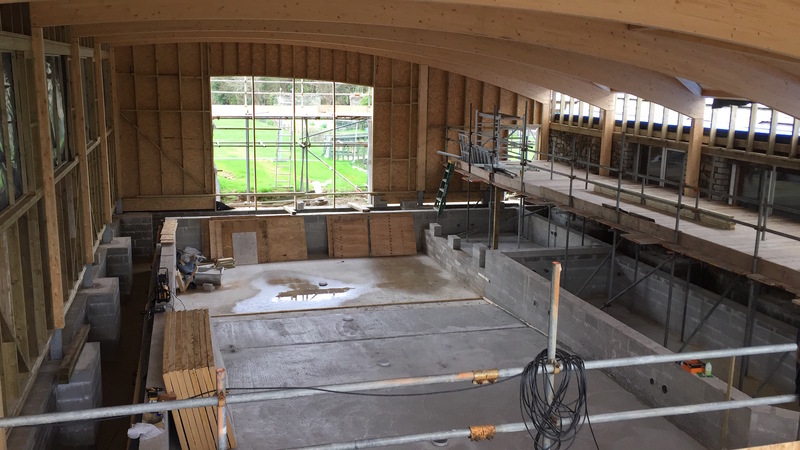 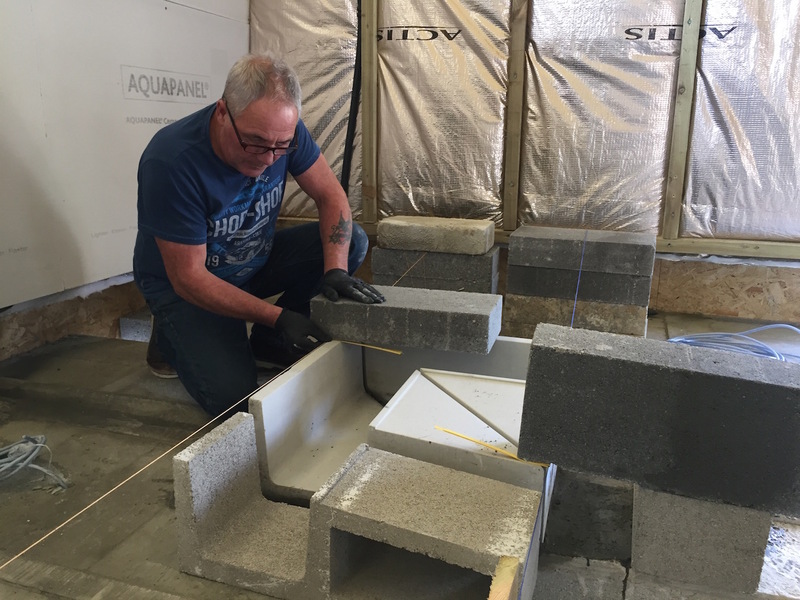 Leading up to Christmas, we are building the block walls of the swimming pool itself, the heavens have opened and it is filling up already! 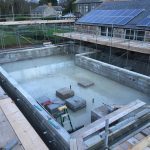 Anyone for a dip? 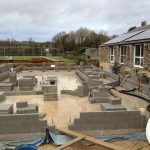 It might be a bit cold! 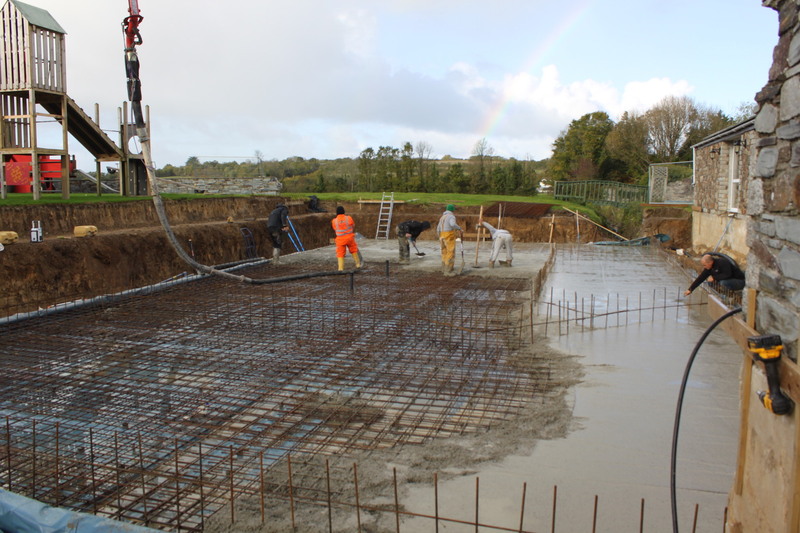 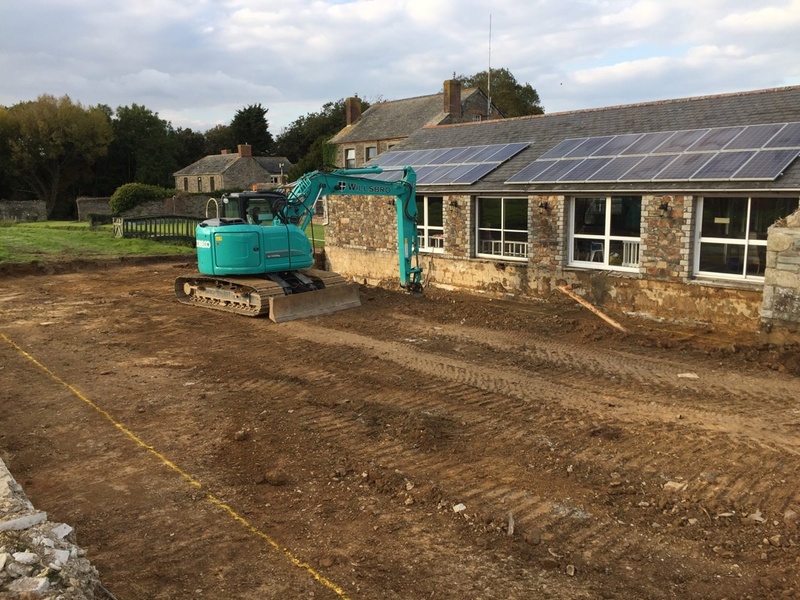 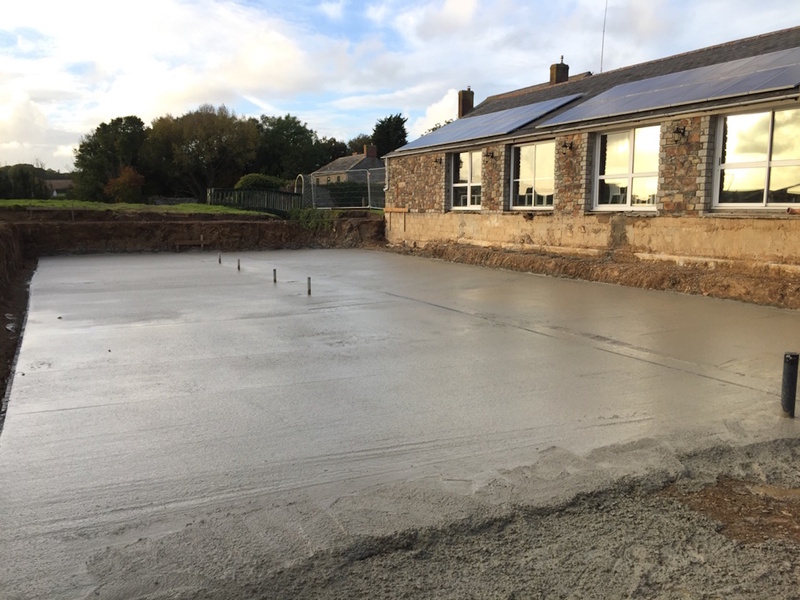 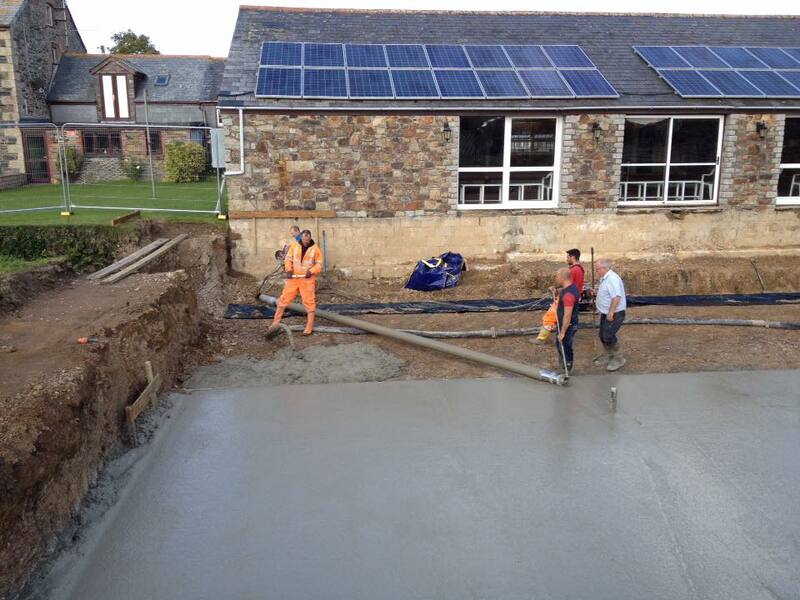 Digging started in October and the first base of concreting has been done! 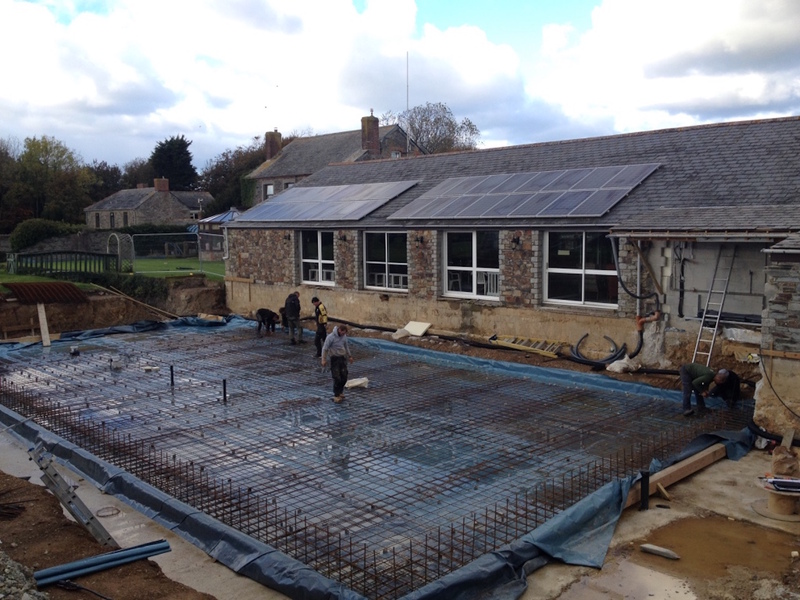 Next step is to lay all the steel mesh ready for the next slab. 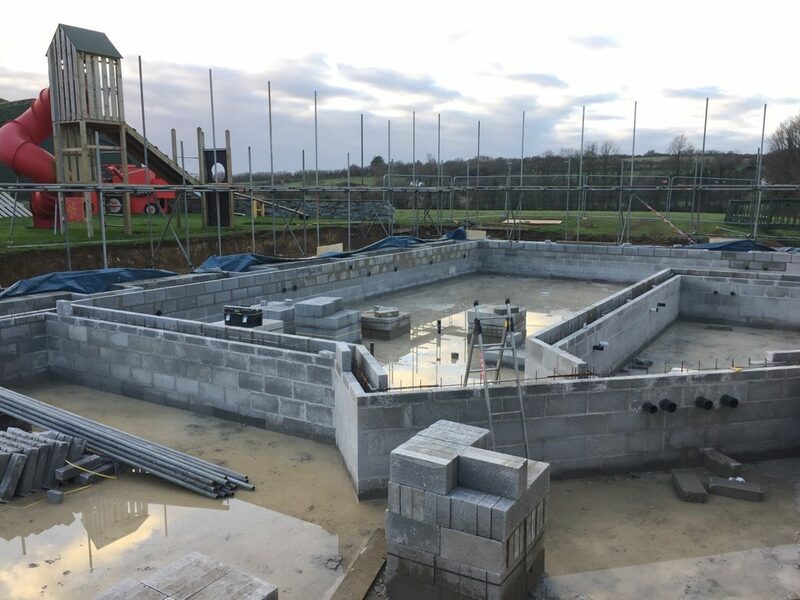 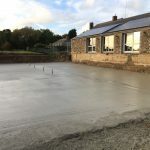 We have been so lucky to have almost completely dry weather, so the site has been easy to manage and we are glad to say, doesn’t look like a swimming pool yet!